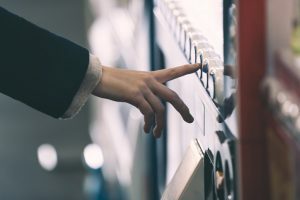 With growing popularity, charitable vending machines are making a big difference in the lives of families statewide and on a global level this Christmas season. Who would have thought you could donate a goat to a poor family on the other side of the world? Through a campaign which began in 2016 titled, “Light the World”, The Church of Jesus Christ of Latter Day Saints gives people the opportunity to help others during the holiday season in a new way. The last two years they have partnered with global charities such as Eye Care 4 Kids, Care.org, WaterAid, Water for People, UNICEF and Utah Food Bank. You can purchase a soccer ball, eyeglasses, food, wheelchairs, clean water, hygiene supplies, livestock, clothing and more. The money goes directly to the fund for the items you want to provide and they are completed through the organization of the Charity. These large red vending machines are located in 5 locations this year: in the Hyde Park Visitors’ Center in London, England; and in the SM Mega Mall in Manila, Philippines. Joseph Smith Memorial Building in Salt Lake City, Utah; in the Water Tower Plaza in Gilbert, Arizona; on the site of the Manhattan New York Temple in New York City, New York. There is no better way to celebrate the season than by serving others the way that Christ did.